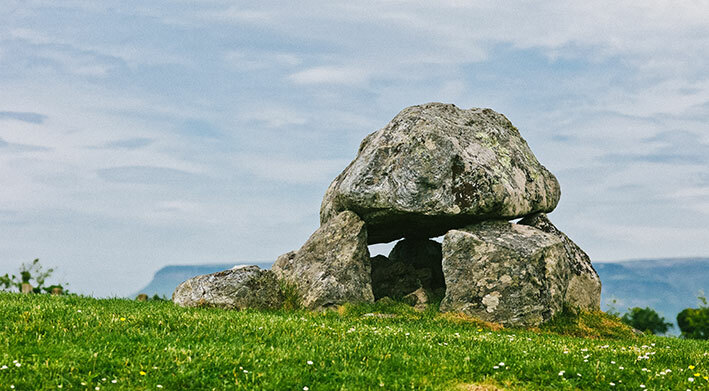 Carrowmore is the largest group of megaliths in the country and the second largest in Europe, making it a must see when in the Coolera area. 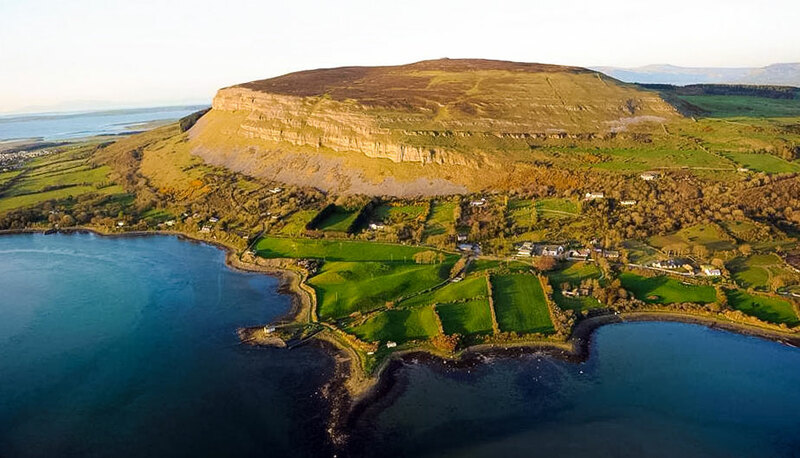 To the southeast of Knocknarea and a 10 minute drive from Strandhill village, lies the townland of Carrowmore which has become famous as one of Ireland’s most extensive prehistoric cemeteries. Monuments here range from five and half thousand to six thousand years old. 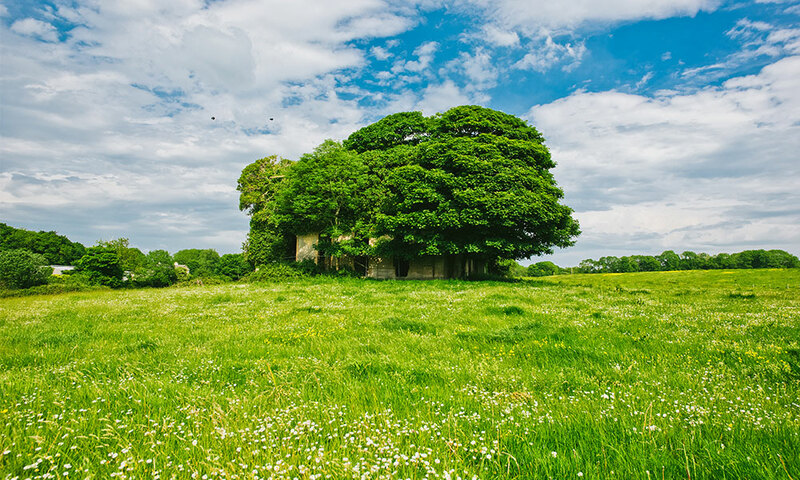 WB Yeats called the area “the Fir Bolgs” or burial mounds. 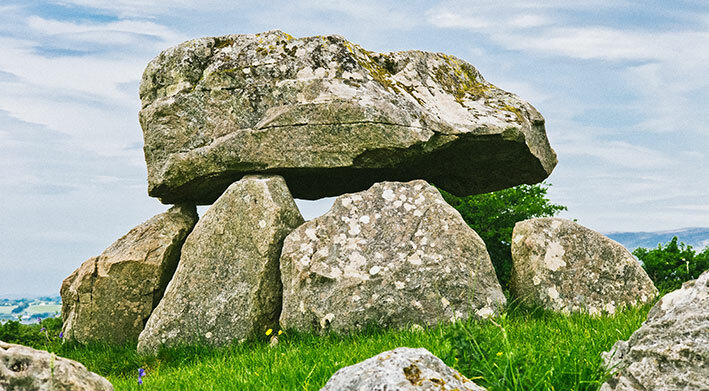 These dolmens are the remains of actual burial chambers. 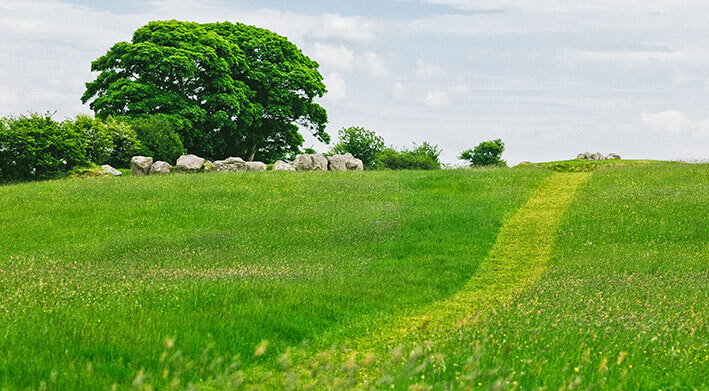 They were originally covered with earth and stones to make them uniform miniature cairns spread across the landscape. 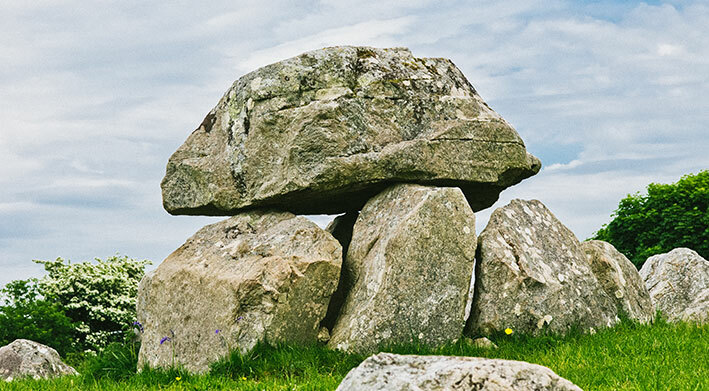 A number of these have capstones with supporting boulders, showing the burial chambers beneath. The ravages of time have reduced the number of identifiable graves recorded here a century and a half ago to less than 50 at present. 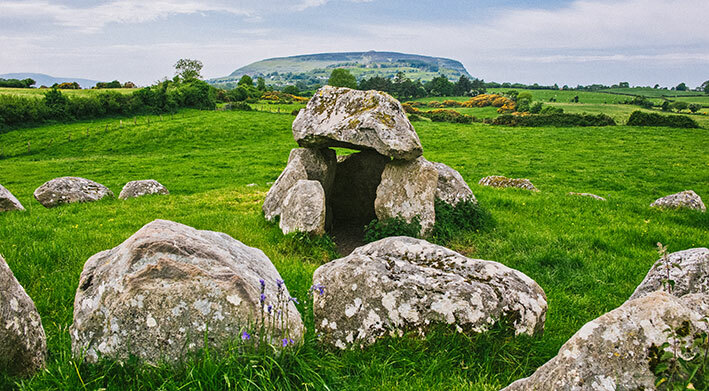 The Carrowmore tombs make up one of the four major passage tomb cemeteries in Ireland. Legend has it these cromleacs or stone-circles date from the battle of Moytirra where the Firbolgs were defeated by the Tuatha De Danann. The ‘tombs’ are as old if not older than the Egyptian Pyramids. 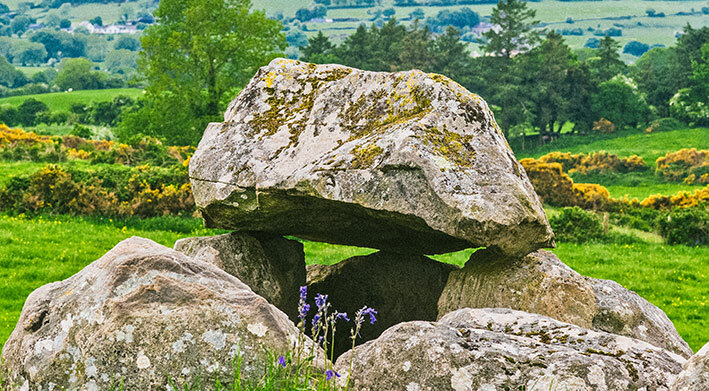 The central monument of Listoghill has been dated to 3600 BC! 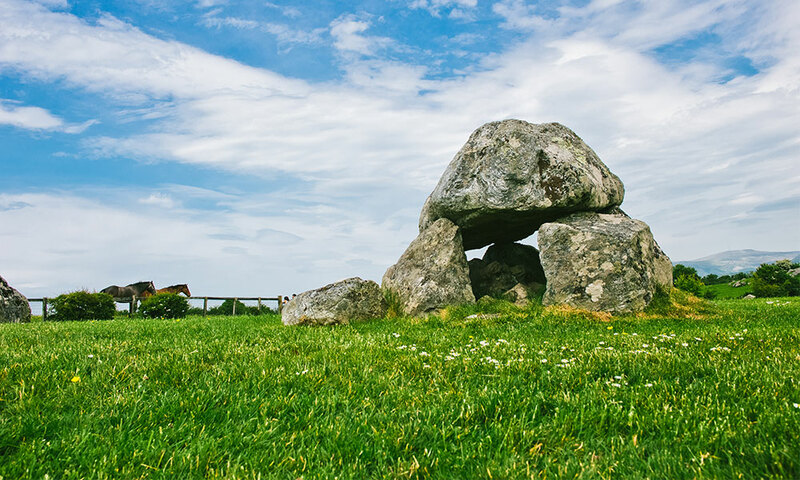 According to Petrie in the 1800s, “This remarkable series of monuments, excepting the monuments of Carnac in Brittany, even in its present state of ruin is the largest assemblage of the kind hitherto discovered in the world”. 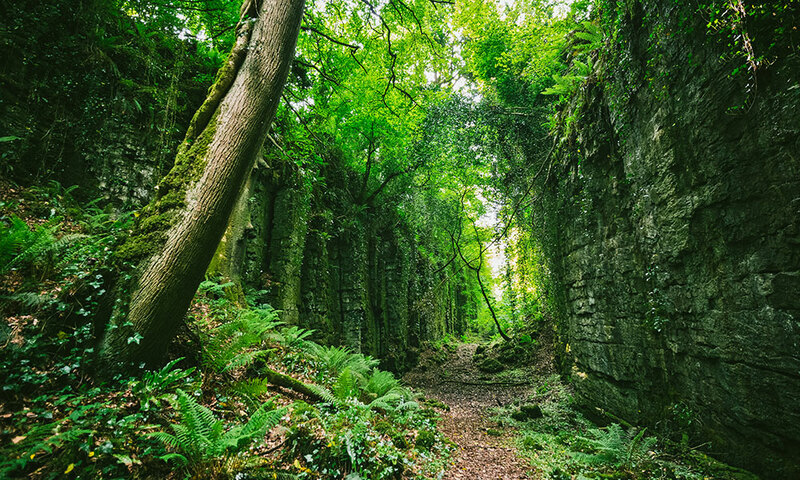 Of the over two hundred stone mounds only half survived into 1900: tombs were rifled by amateur archaeologists, levelled by farmers, or demolished to open gravel pits and build walls. 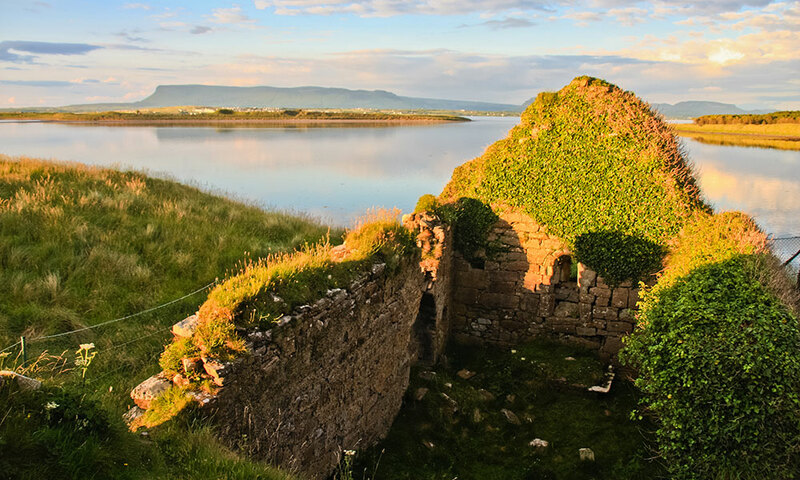 A former Bishop of Elphin, the most reverend Dr Clancy, said in his Sligo lecture on Ancient Irish Art: “The two most important monuments (of this nature in Ireland) are the Tuatha De Danann mound at Newgrange, upon the Boyne, and the Firbolg circles at Carrowmore.” – more in our history section. 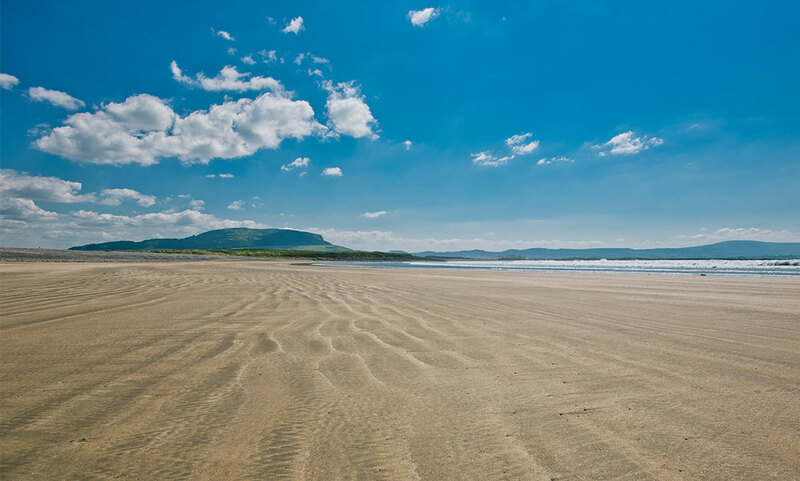 Drive out of Strandhill village on the top road, heading south for Culleenamore and Knocknarea. Continue along this road for 5.5km and you will come to a roundabout. 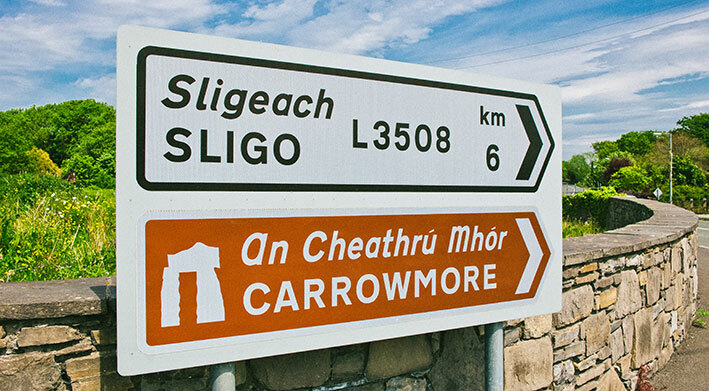 Continue straight through this roundabout and after 1.5km you will see the Carrowmore Visitor Centre on your right. 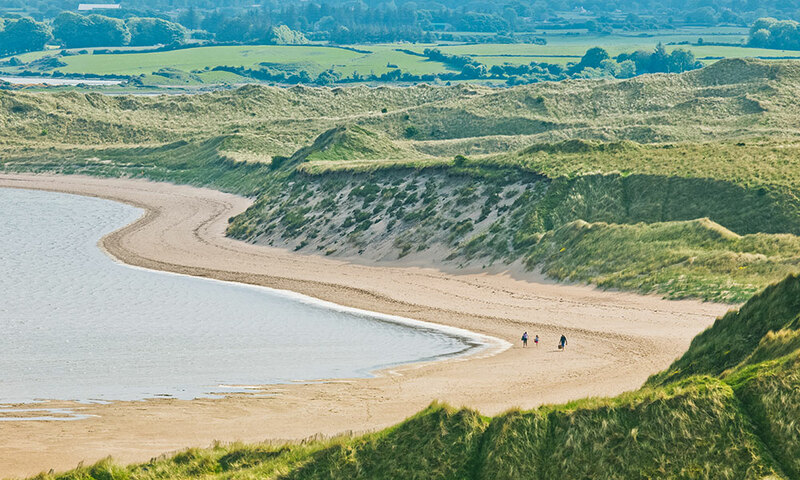 Visitors are advised to wear suitable shoes for walking on uneven terrain. 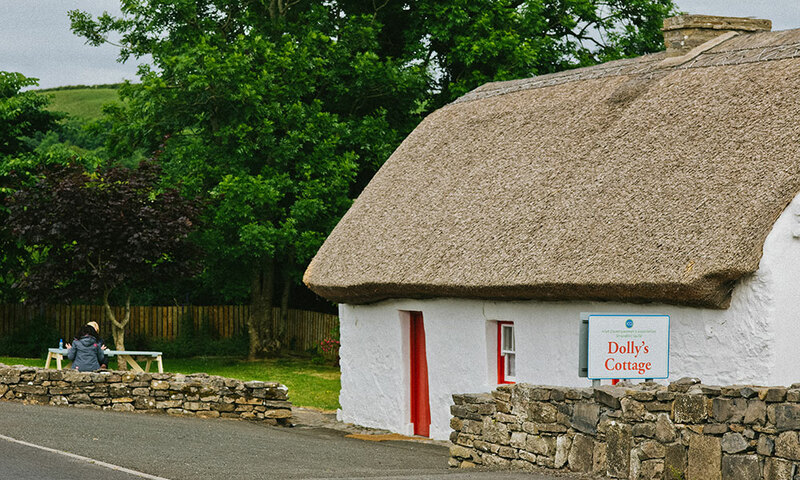 More information at Heritage Ireland.